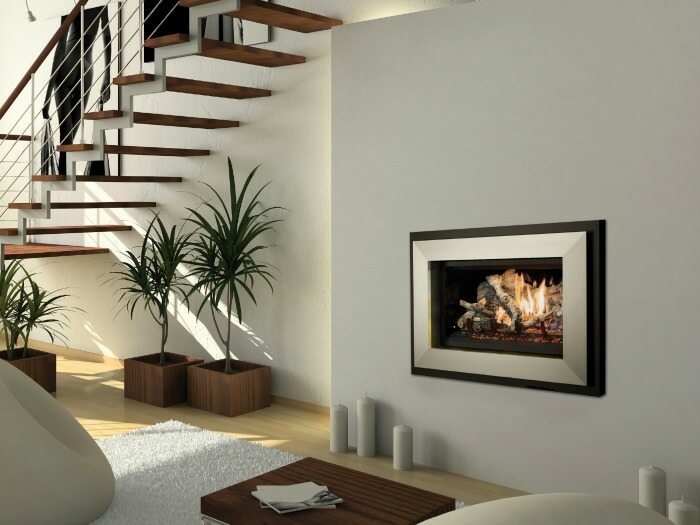 The newly redesigned 564 25K deluxe gas fireplace boasts a beautiful 25,000 BTU fire, which is rated to heat up to 1,250 square feet of living space. 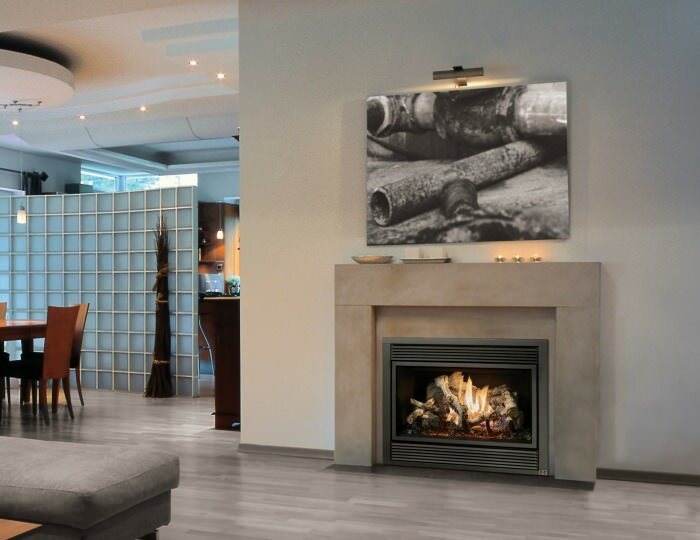 The 564 25K gas fireplace comes fully loaded with the GreenSmart Deluxe Remote Control, quiet 180 CFM convection fan, comfort control, new adjustable overhead accent lights, and Ember-Glo ember bed lighting. 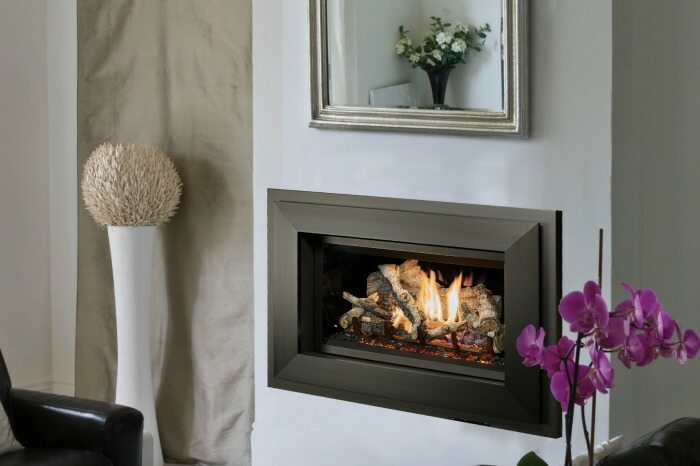 With its consistent, radiant and convective heat, and reduced dimensions, the 564 25K gas fireplace is ideal for zone heating in bedrooms, dens and intimate spaces that do not require a great deal of heat. 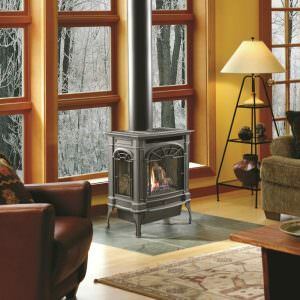 Choose between the New Classic Oak or Birch log sets. 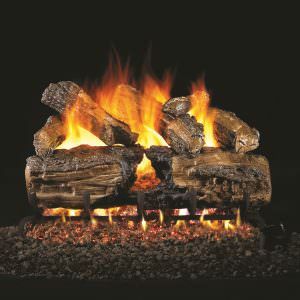 Both are incredibly realistic and mimic an actual wood burning fire, right down to the flame pattern, highly detailed logs and glowing embed bed. 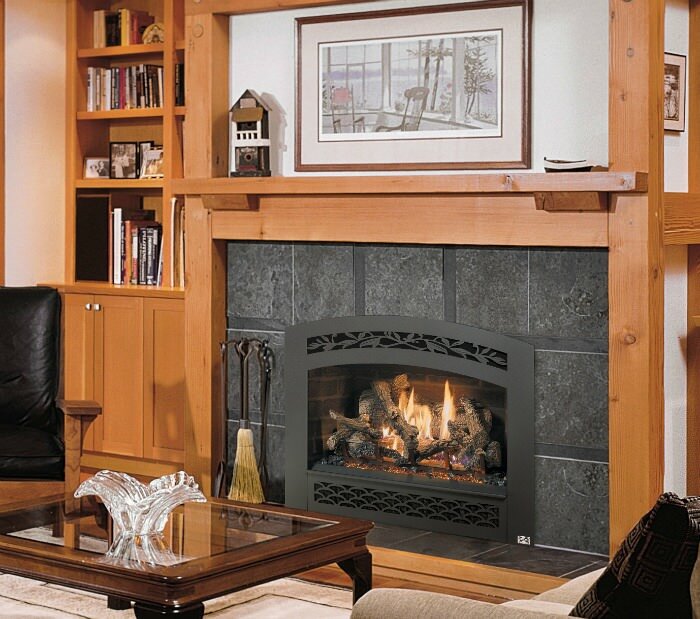 The 564 25K gas fireplace features 564 square inches of high clarity tempered glass that comes standard with the 2015 ANSI-compliant invisible safety screen, increasing the overall safety of this fireplace for you and your family. No Power? No Problem! 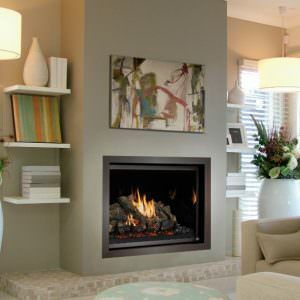 All Fireplace Xtrordinair fireplaces will work in a power outage with only one exception: if utilizing the Power Exhaust Vent, electricity is required to operate the fireplace. Choose from something as simple as the basic grill or one of many different face options in various textures and designs. 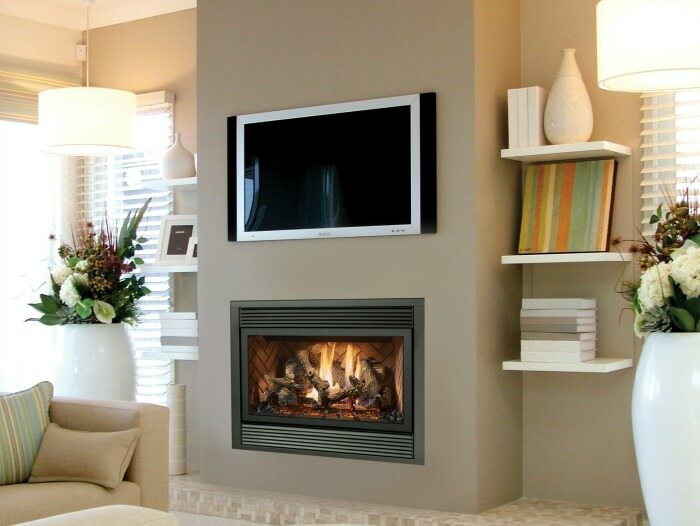 The optional CoolSmart TV Wall Kit can also be added to this model, which allows you to safely install a TV above your fireplace. 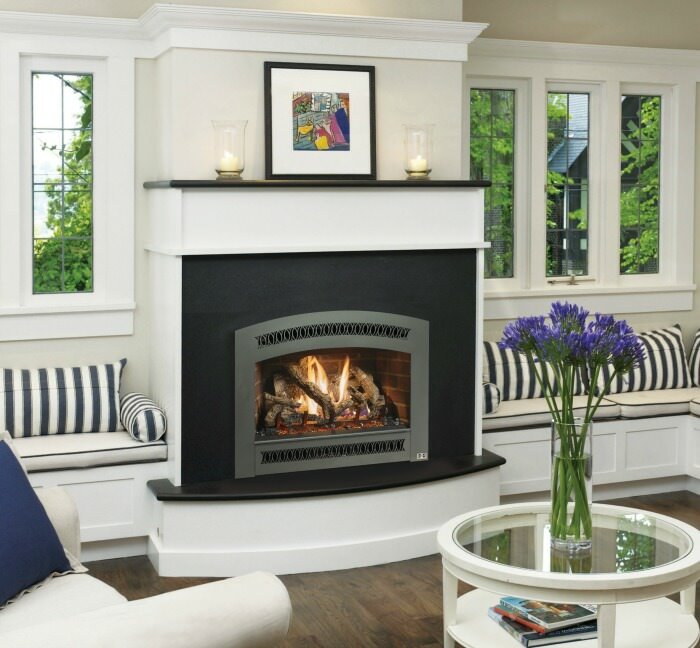 Power Exhaust Vent Kit Option: Our Power Exhaust Vent Kit allows you to install our gas fireplaces virtually anywhere in your home, by accommodating even the most difficult venting restrictions. This Power Exhaust Vent Kit provides vent runs up to 100 feet, or up to 50 feet either horizontal or vertical, with a maximum of 12 elbows! 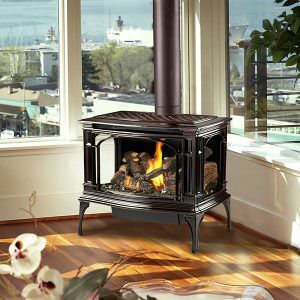 This option requires electricity to operate your fireplace.